Mercedes Mayor Henry Hinojosa apologized Tuesday following backlash the city commission faced for leaving the chamber while a 19-year-old spoke of city-related issues she believes may have contributed to a bicyclist’s death. Laura Pitts, 19, stood up after the Aug. 12 special meeting and expressed concern about a lack of street lights along the road where her friend, David Gobellan, was struck by a driver while riding his bicycle. Gobellan died last week at a hospital. A video clip of her speech posted to Twitter and viewed at least 1.6 million times shows City Attorney Juan Molina gesturing for Commissioners Howard Wade and Leo Villarreal to exit the chamber while Pitts spoke upon adjournment. Wade, Villarreal and Commissioner Cristella “Cris” De Leon then left their seats. “Go ahead and just address us. We will listen to you,” a resident, who often attends meetings, told Pitts. Hinojosa and Commissioner Ruben “Chano” Guajardo were not seen in the video, and Guajardo said he departed quickly upon adjournment, not knowing what was transpiring inside. 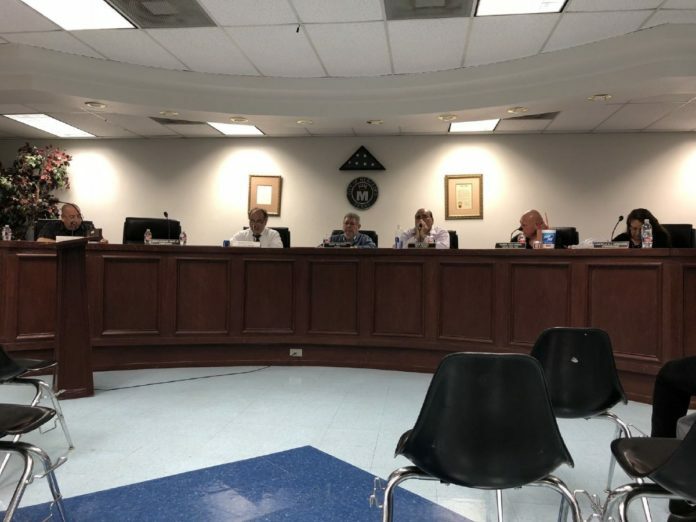 The commission eliminated the public forum portion of meetings earlier this year, but may allow citizens of their choice to speak by placing them on an agenda. The commission placed Pitts on Tuesday’s agenda, allowing her to formally address city-related issues. Though Pitt’s said she disagreed with the backlash that ensued as a result of last week’s meeting, she again called on the commission to improve safety, lighting and quality of streets as well as EMS response. She believes her age might have contributed to the temporary dismissal of her concerns. “I may be young, but I’m a registered voter with a voice, and I have the right to speak,” Pitts told the commission. Hinojosa then addressed her on behalf of the commission. Hinojosa also provided a reason for the city commission’s departure — the Texas Open Meeting Act. Streets lights will be added to Mile 2 East, the road where Gobellan was struck, according to Guajardo. “We hope that healing will come to the families involved, and also to our community as well,” Hinojosa said.